Bob Sehlinger, a Lowell Thomas Award–winning journalist, is best known as the creator and producer of The Unofficial Guide series. Bob Sehlinger is founder and co-owner of AdventureKEEN, a book publishing company that includes Menasha Ridge Press, Clerisy Press, Wilderness Press, the Nature Study Guides, and Adventure Publications. AdventureKeen is home to some of the best-selling travel and adventure books in the United States, delivering to readers and enthusiasts the best in travel content and location information available. 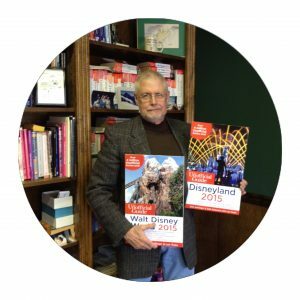 Bob Sehlinger is the author of 27 books, a past president of the Publishers Association of the South, and has served at the invitation of the U.S. State Department and the U.S. Information Service on educational missions for publishers in Hungary, Romania, and Russia.